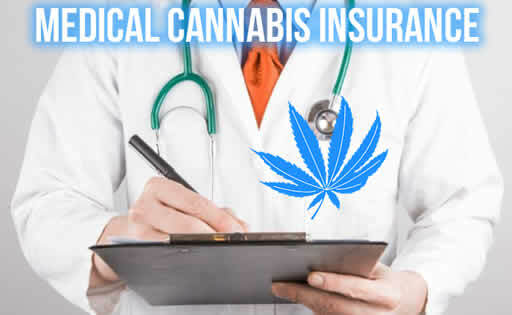 Medical cannabis insurance coverage. Canada’s Sun Life Financial is giving patients a break by adding medical cannabis coverage to its group benefits plan. Starting March 1 employers can opt in to cover employees for medical cannabis. For those whose employers use Sun Life, their cannabis could soon be part of their insurance plan. This means no more buying it themselves. This reflects acceptance of a plant that was once plagued with the stigma of being a dangerous drug. With recreational due to become legal this summer, it reflects a shift in thinking by insurers. This is great news for patients who rely on cannabis as part of their treatment. It also boosts a growing cannabis industry. Yukon from 85 to 117. While plan sponsors insured with Sun Life can add medical marijuana for its employees. It will cost of between $1500 and $600 a year per person to add to extended healthcare plans. While patients may not have immediate benefits, it represents a huge step forward in thinking. With the offer of insurance cover, weed is gaining recognition and becoming mainstream. This is a long way from the previous thoughts of it danger to society. Sun Life chief executive and president said the company’s move for medical cannabis insurance was to meet the demand from their employer clients. This new insurance option does not cover a full range of medical conditions, but it is a good start for the future. He said medical marijuana was an important part of a patient’s treatment plan and pain management. Sun Life covers cancer, HIV/AIDS, rheumatoid arthritis, palliative care, and multiple sclerosis. This move gives more than three million Canadian’s insured with Sun Life’s access to medical marijuana. To qualify patients for Sun Life insurance cover, they must meet certain criteria. Patients need an authorization letter from their doctor to be eligible. They must also register with a Health Canada licenced medical marijuana producer. Sun Life will continue to review medical marijuana research that supports its use for other medical conditions. It will do this periodically and update its criteria for coverage as necessary. Canada’s Shoppers Drug Mart recently signed a deal with Aurora Cannabis to supply cannabis online. This agreement is subject to approval from Health Canada for selling weed online. Currently the law still prohibits pharmacies from dispensing it from physical locations. Its parent company, Loblaw Companies, applied to sell cannabis over the counter through its pharmacy chain in October 2016. Other companies signing agreements include CanniMed. Lovell Drugs, Maricann and PharmaChoice. So, the wheels are in motion for retail outlets to go ahead once the law changes. A landmark Human Rights case is waiting for an outcome in the Nova Scotia Court of Appeal. A Nova Scotia man injured in a motor vehicle accident in 2010 took his union to the Human Rights Tribunal in 2017. His union denied him insurance cover after being prescribed medical cannabis for pain so he too them to court. The tribunal ruled the Elevator Industry Welfare Trust Fund board discriminated against him. They ruled the employer must cover medical cannabis for the work accident. The union took the case to the Nova Scotia Court of Appeal and it is still waiting for an outcome. Sun Life announcing it new medical marijuana policy gives hope for injured employees so they get the treatment they need.